Have a look at the magnified illustration. I love the rich branch structure and the soft-looking foliage. 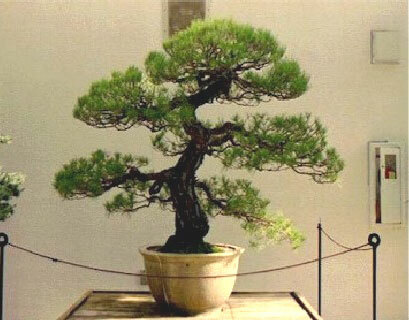 The small round pot fits perfectly in the overall aspect of the bonsai. If you have a favourite bonsai you would like to publish or if you have seen a tree that impressed you for any reason, please let me know. I will publish the tree in this section as soon as posible. Please fill in the form.